On New Years Day in 2011 I watched a group of older women, I don’t think they will mind being called that because after all they are in their sixties and seventies, march together as mature women decades after they last performed. They proudly stepped it out that day, just like today and miraculously they didn’t miss a beat. 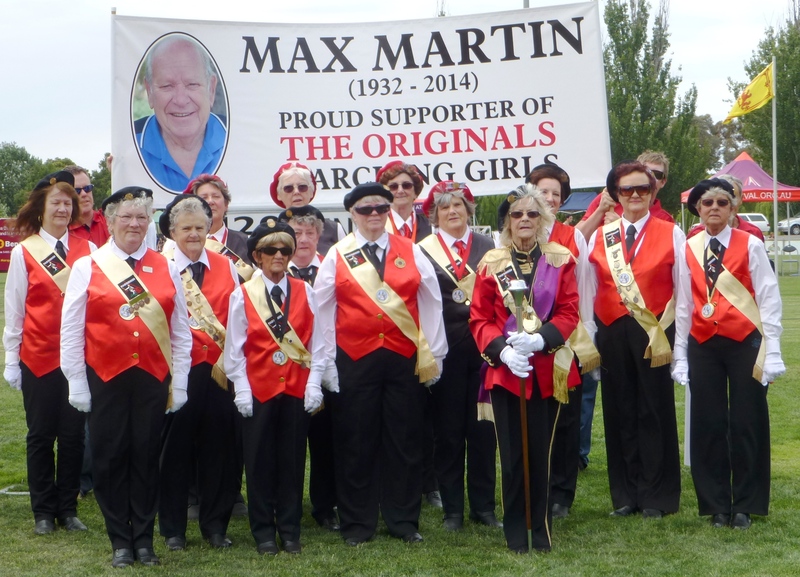 The group of Maryborough, Victoria marching girls competed together as young women way back in the sixties. The re-forming of this group has been a delight to all, but today, New Years Day 2015 was their last performance. This morning at eleven o’clock ‘The Originals’ lead the traditional ‘Maryborough Highland Gathering’ march through High Street, Maryborough, finishing at Princes Park for the start of the sporting program. This historic event has been occurring since 1857. To wonderful applause ‘The Originals’ marched their hearts out. Seeing these women marching to the beat of a highland drum and bagpipes was indeed inspiring if not a little sad that it was for the last time ever. But we all know good things have to end and I’m sure the achievement of the last few years has been well worth it. I have to confess to a bit of an interest in this group because two of my cousins are part of ‘The Originals’. As teenagers they belonged to the marching fraternity and they and others in the group, I believe, travel from other parts of the state to take part in this fabulous adventure. 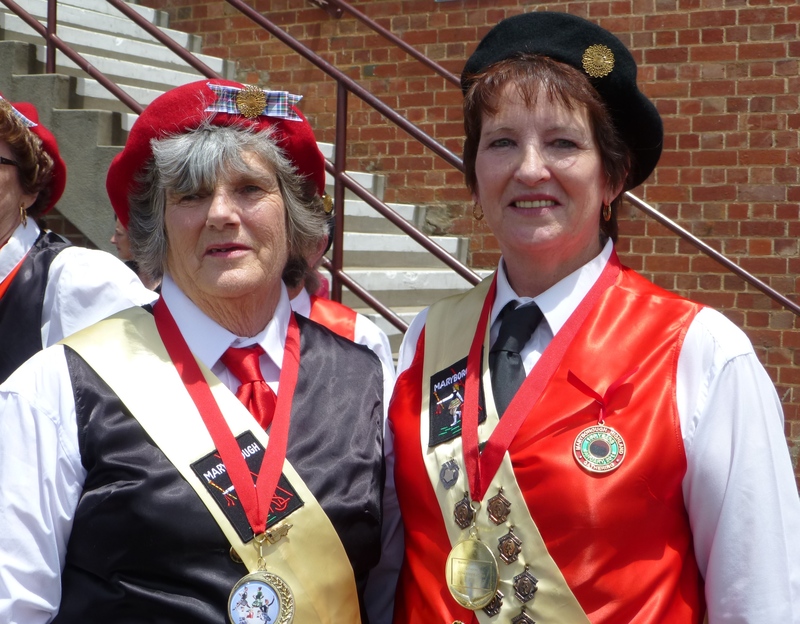 Well done Robina and Margaret and congratulations to ‘The Originals’, a mighty group of women. This entry was posted in Education, Life, Music, People, Relationships, Uncategorized, Writing and tagged Bagpipes, Belonging, Celebrating, Endings, Finale, Friendship, Highland Gathering, Marching Girls, Maryborough, New Year, Older Women, Reminiscence, Scottish Music, Sports. Bookmark the permalink. What a lovely tribute to these women and their lifelong joy of marching to the pipes and drums. It’s inspiring me to revisit some of my earlier passions and seeing that it’s never to late for a swan song! Yes, it was sort of like turning back the clock. It was a joy to watch.